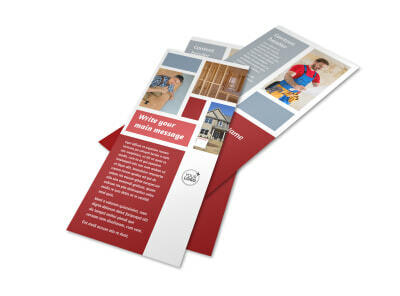 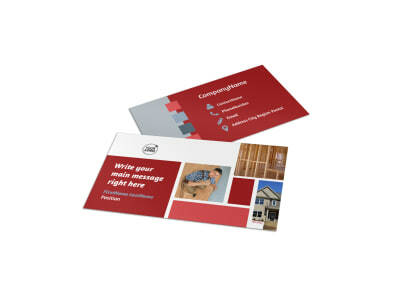 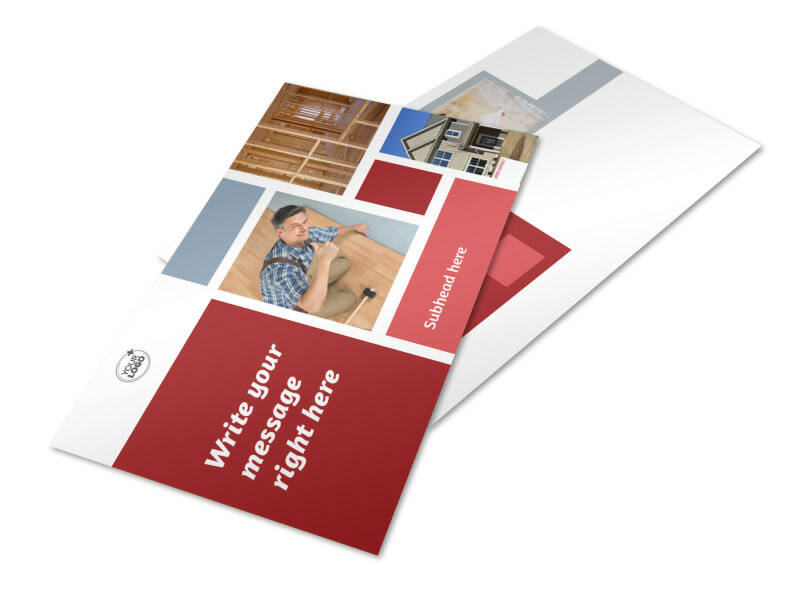 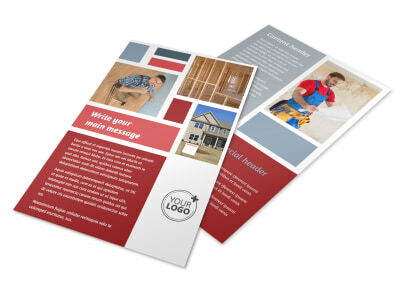 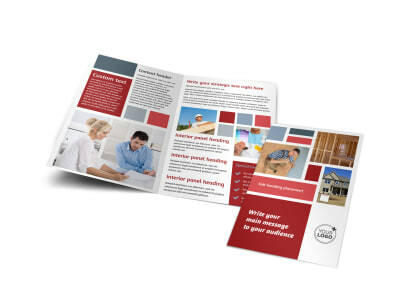 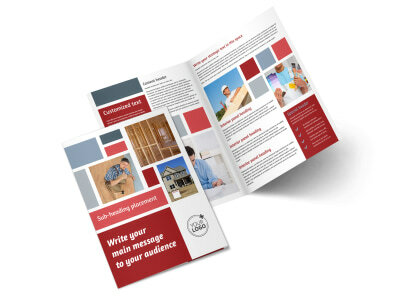 Customize our Remodeling Contractor Postcard Template and more! 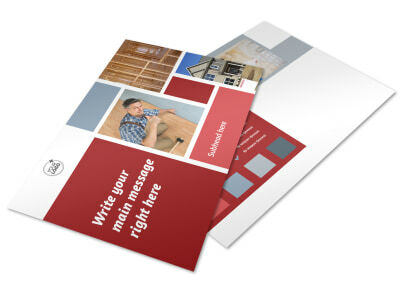 Whether they need a new kitchen backsplash or fresh tile in the master bath, let the locals know you're the go-to guy for the task with remodeling contractor postcards. 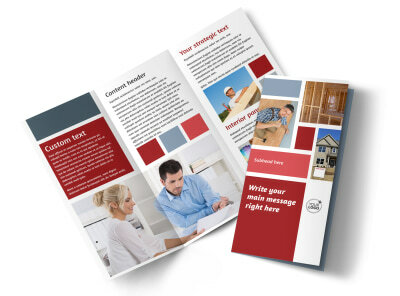 Choose a template from our inventory, and customize it with details on your expertise, photos of previous jobs completed, and other important info. 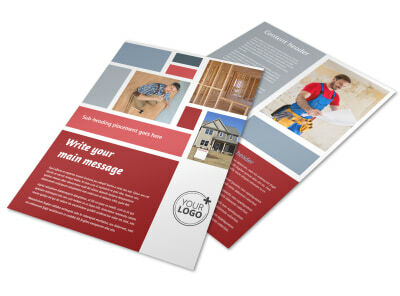 Drop the hammer on the competition; get your design locked in now.